Fall is just around the corner. The weather will cool, and the nights will come quicker. It’s also the time of the year where tempting treats may surround you. 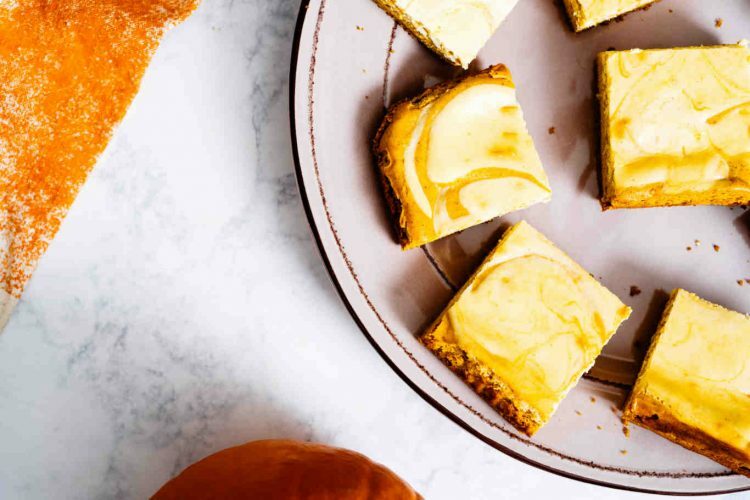 We gathered a handful of our favorite, dFriendly dessert ideas for you just in the nick of time. Most of the recipes are simple to make and have been modified so that a little portion won’t derail your meal plan. As always, consult your healthcare provider for any questions about your individual meal plans. 1. While you are gathering your ingredients, preheat your oven to 350°F. Spread a light layer of cooking oil on the bottom and sides of an 8x4x2 inch loaf pan and set aside. You can also line the pan with parchment paper and use even less oil. 2. In a medium mixing bowl, add in all your flours: The all-purpose flour, whole-wheat flour, baking powder, pumpkin pie spice, baking soda, and salt. 3. In a large mixing bowl, add mashed bananas, brown sugar, egg, and oil. Slowly add in the banana mixture to flour mixture. 4. Carefully pour the batter into prepared loaf pan. 5. 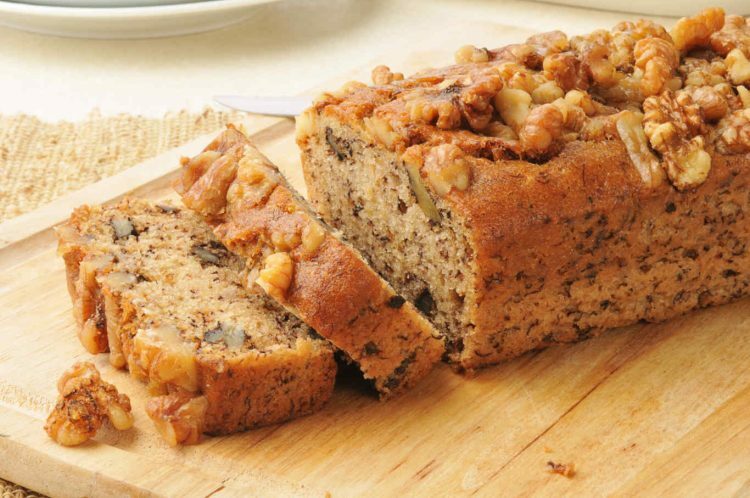 Sprinkle the top of the loaf with walnuts or slivered almonds. 6. Bake for 45 to 50 minutes or until a toothpick inserted near center comes out clean. 7. Cool the bread for 10 minutes. Remove from pan. Cool completely on wire rack. Slice in 1/4 inch thick portions and enjoy! 2. To prepare the Oil Pastry: In a medium bowl, combine flour and salt. In a separate bowl, combine oil and milk. Pour liquid mixture into flour mixture and stir lightly with a fork until combined. Use hands to gently work the dough into a ball. 3. On a well-floured surface, use hands to slightly flatten dough. Roll dough from center to edge into a circle about 12 inches in diameter. To transfer pastry, wrap it around the rolling pin. Unroll pastry into a 9-inch pie plate. Ease pastry into pie plate, being careful not to stretch pastry. Trim pastry to ½ inch beyond edge of the pie plate. Fold extra pastry under. Flute or crimp edge as desired. Do not prick. Put aside. 4. 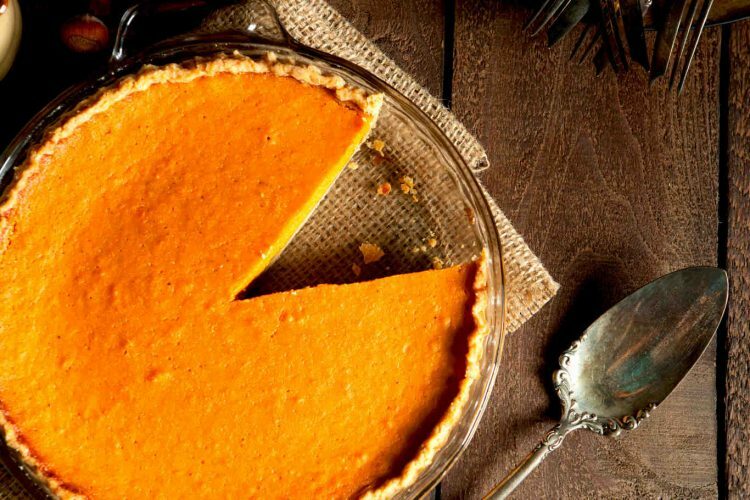 To prepare Sweet Potato Pie Filling: In a large bowl, combine mashed sweet potatoes, evaporated milk, eggs, sugar, cinnamon, vanilla, butter flavoring, nutmeg and lemon extract; whisk until nearly smooth. 5. Pour sweet potato filling into prepared pie plate. 6. To prevent over-browning, cover the edge of the pie with foil. Bake for 25 minutes. Remove foil. Bake for 25 to 30 minutes more or until a knife inserted near the center comes out clean. 7. Cool on a wire rack. Cover and refrigerate within 2 hours. If desired, top individual servings with whipped dessert topping and sprinkle with additional nutmeg. Adapted from: Diabetic Living Magazine. 1. Preheat oven to 400°F. Lightly grease twelve 2-1/2-inch muffin cups with nonstick cooking spray. 2. In a large bowl, combine flour, rolled oats, brown sugar, baking powder, the 1/2 teaspoon ginger, and the salt. 3. In a small bowl, combine milk, oil, and egg; add all at once to flour mixture. Stir just until moistened. Fold in pear and, if desired, walnuts. 4. Divide batter evenly among prepared muffin cups. Combine oat bran and the 1/4 teaspoon ginger; sprinkle over muffins. Bake for 18 to 20 minutes or until tops are brown. Cool in muffin cups on wire rack for 5 minutes. 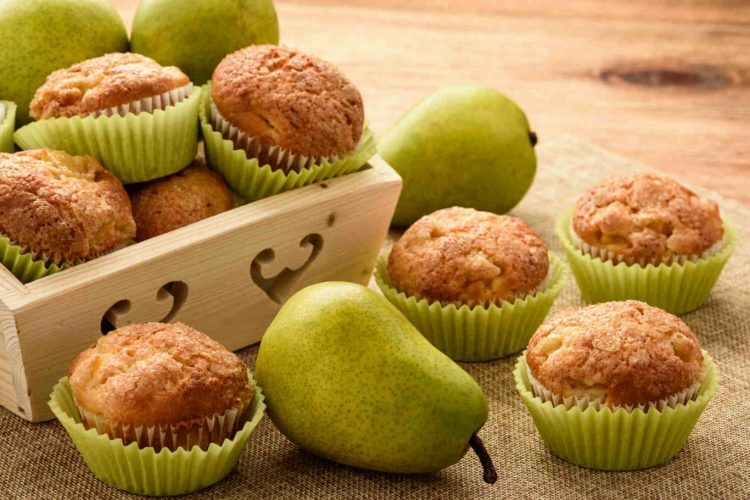 Remove from muffin cups; serve warm. Makes 12 muffins. 5. 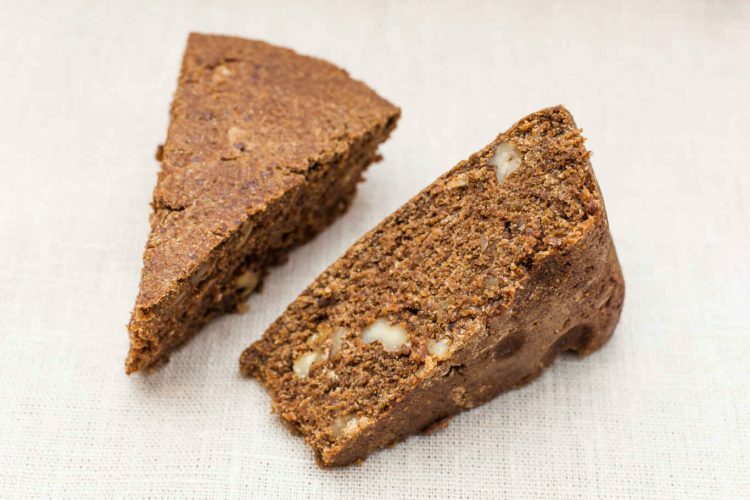 To toast nuts, spread in a shallow baking pan lined with parchment paper. Bake in a 350°F oven for 5 to 10 minutes or until golden, shaking pan once or twice. 1. In a medium bowl, stir together crushed graham crackers and melted butter until crackers are moistened. Press mixture onto bottom of an 8-inch springform pan. Cover and chill while preparing the filling. 2. In a food processor or blender, combine the reduced-fat cream cheese, ¼ cup of the sugar, ¼ cup of the milk, the vanilla, and orange peel. Cover and process or blend until smooth. Transfer to a medium bowl; set aside. 3. In a small saucepan, sprinkle gelatin over orange juice; let stand for 5 minutes. Cook and stir over low heat until gelatin is dissolved. Stir 1 tablespoon of the gelatin mixture into the white cream cheese mixture and the remaining gelatin mixture into the pumpkin mixture. 4. Pour pumpkin mixture over chilled crust in pan. Carefully pour white cream cheese mixture over pumpkin mixture. Using a narrow spatula or a table knife, swirl pumpkin and white mixtures. 5. Cover with foil and chill before serving. Cut into wedges. 1. Preheat oven to 350°F. Grease a 9x9x2-inch baking pan; set aside. 2. To prepare the topping: In a small bowl, combine oats, brown sugar, and cinnamon. Using a pastry blender, cut in vegetable oil spread until mixture is crumbly. Stir in hazelnuts. Set aside. 3. In a medium bowl, combine flour, granulated sugar, baking powder, baking soda, and salt. 4. In a small bowl, combine egg, sour cream, the water, and oil. Add to flour mixture; stir just until combined. 5. Place ½ cup of the batter into a clean small bowl. Stir in cocoa powder, milk, and vanilla until smooth. Spoon the light-color batter into prepared pan, spreading evenly. 6. Spoon chocolate batter in small mounds over batter in pan. Using a thin metal spatula, slightly marble batters. Sprinkle with topping. 7. Bake for 35 to 40 minutes or until a toothpick inserted in the center comes out clean. Cool in pan on a wire rack for 10 minutes. 8. Remove from pan. Serve warm or cool before serving.